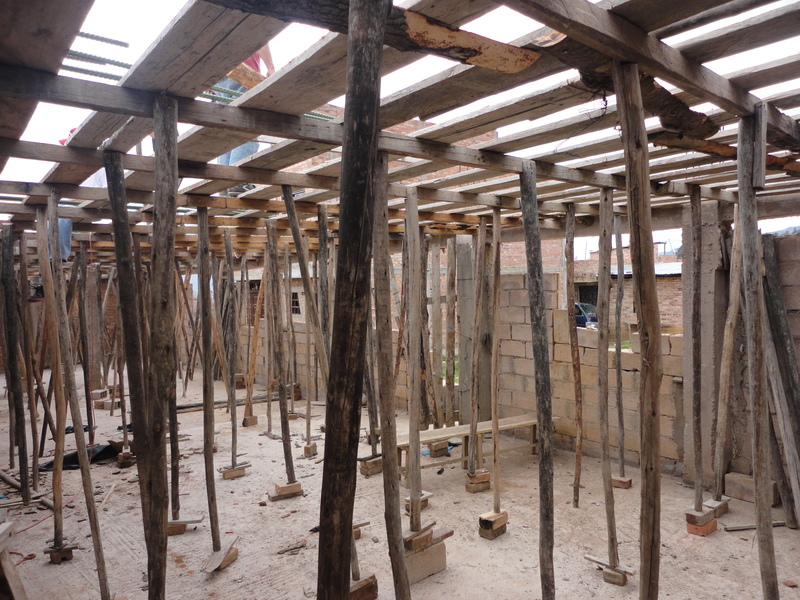 Before we pour the cement to make the ceiling/floor of the second story, we level it and support it with these wooden poles. We’ve had four days of calm after almost a month of non-stop rain. It was problematic trying to work on the church construction every day it rained. Water was coming from everywhere and flooded the space where Pastor Cesar and his wife and kids live. They were worried because the water had filled the latrine they were using and water was starting to come out of it! Can you imagine have to wade around in that water with feces and all? Terrible. But now the water level is down again and we are trying to construct the real bathroom and shut off that latrine because we need that area anyway for the next phase of construction. We’ve been at it since Monday a week ago and now part of the walls and columns are ready. After that, we’ll have to put up wood to prop up the roof/floor of second story for pouring the cement on the front part of the building. I’ve bought all the rebar for the roof and second story of the church, and I think the weather is going to be better. So we’re going to keep going. 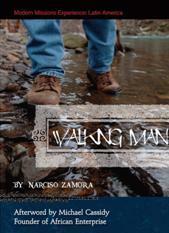 Esta entrada fue publicada el febrero 6, 2015 por Walking Man. Se archivó dentro de Uncategorized .